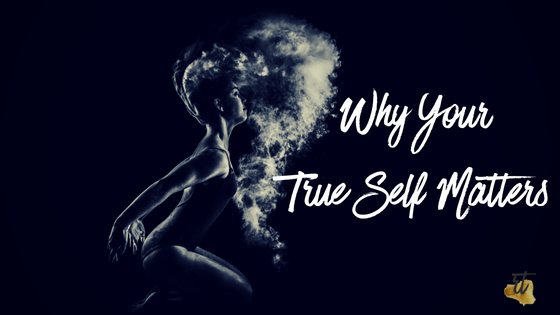 In my last couple of articles, I’ve talked about connecting with your inner self. Your true, authentic self. This propels you into a more defined person who sticks true to your values, your boundaries, and most of all, to you. Today, I want to take that a step further into the Why. To Be You means to not apologize. Being You means you’re coming from a place of true connection. You’re in tune with not only who You are but with what you want. In essence, what you desire. You start listening to your inner voice to establish your core needs. When they’re not met, you desire more, you desire change. You respect your values and boundaries and you’re willing to be OK with what you want. That to me is the most important piece. This is the point where you no longer judge yourself or others. You’re focused on your inner voice so you know, within you, what’s right. You no longer question what other people think. You no longer wonder if you’re making the right decision. You no longer give out of guilt. When you’re connected to your inner self, YOU decide what’s right for you, what your boundaries are. You decide who you want to give to. And when you’re there, goddammit, you’re in the most peaceful place ever. This is both true control and freedom. You act from your truest self and no longer feel challenges or challenged. You no longer see obstacles or have problems. Instead, you’re surrounded by beauty, love and justice. You’re now in a state of peace. You’re abundant, you feel wealth surrounding you. You’re grateful, you see and feel the blessings around you. You’re a visionary, you create and do. And last but not least, you’re aligned, you live your life’s purpose. And here’s the craziest part! When you’re aligned to your truest self, you increase your vibrations. This creates one whole big crazy manifestation cycle. You can’t help but attract all that good stuff back to you. I mean, simply typing that out sounds amazing! So you gotta ask yourself: am I ready for something like this? Are You ready to always feel abundant? Are You ready to receive blessings in the most amazing ways? Are you ready to unleash your vision? Are you ready to live your life’s purpose? Are you ready to manifest even more? Are YOU READY TO BE ALIGNED TO YOU? – yup, pretty much yelling at this point. Then what are you waiting for? Let’s get you aligned! I prayed for an Angel and heaven gave me you. I met you at the point in my life when everything in my life has dead. But right now you have helped me build who I always wanted to be before the world got it’s hands on me. I am at a peaceful place in my life right now and I am grateful for your impact. Thanks so much Exceptional Coach. This is so wonderful and I’m so honoured and grateful that you shared so vulnerably with me. I’m glad our paths crossed! Keep pushing forward and fighting the good fight because, you are worth it!